Thank you for supporting Junior League of Cedar Rapids and being a part of Butterfly Kisses 2015. Please stay tuned for more information about Butterfly Kisses 2016. Now Featuring Elsa And Anna performance! 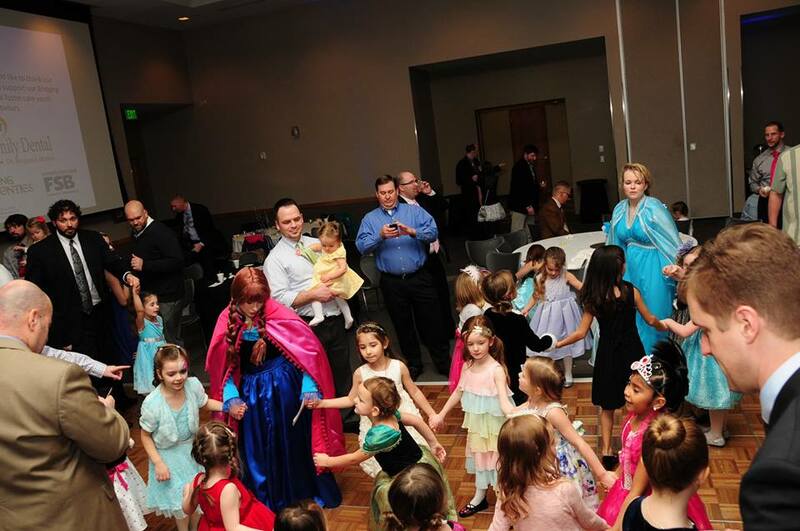 “Let it go” on the dance floor January 25th, 2015, 1:00 p.m. – 4:00 p.m. at the Hotel Kirkwood Ballroom. JLCR will be hosting its 13th Annual Butterfly Kisses, a father-daughter dance, with a new FROZEN theme based upon the popular Disney movie. The afternoon activities include a performance by Elsa and Anna from Frozen, a light lunch, professional photos and lots of dancing to music by Modern DJ. There will be games that include building a snowman, face painting, a snow cone machine and a crafts table as well. We will have many silent auction items including Four One-Day Park Hopper passes to one of Disney’s Theme Parks, and a sunset plane ride for two with complimentary wine and cheese. Remember to invite all of your friends, family and co-workers! Active members may count the monetary value of ticket purchases toward their annual financial commitment. For questions contact Molly Mullholland. Online ticket sales are closed. However, tickets may be purchased at the door on Sunday, January 25. Tickets are $75 for one father-daughter; additional daughters are $15 each. Cash, check and charge accepted at the door.